U.S. District Judge B. Lynn Winmill has voided the Payette National Forest Science Advisory Committee’s contribution to management decisions when it decides whether or not to ban or reduce domestic sheep grazing on the Payette National Forest. The Woolgrowers successful claim means that the public should have been granted access to ‘listen in on’ the Science Advisory Committee, which was assimilating and summarizing existing information. This decision cuts both ways, ensuring access for industry as well as conservation advocates. The Woolgrowers were not successful in overturning previous decisions restricting domestic sheep grazing. 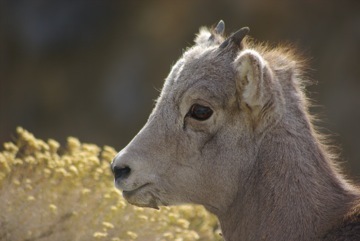 The judge goes out of his way to affirm that the existing information, including the scientific data demonstrating evidence of disease transmission from domestic to wild sheep that the committee summarized, can still inform management actions. Not included in the article is the irony that Mark Rey, former undersecretary for natural resources and agriculture for the Bush Administration, is the man responsible for establishing the science advisory committee at issue. Jon Marvel is not ICL’s executive director. As I read Judge Winmill’s order, it basically says the Payette didn’t follow the correct procedures under the Federal Advisory Committee Act (FACA) in organizing the Bighorn Domestic Sheep Disease Transmission Panel. While the Payette is precluded from relying on the committee’s report in future decisions, it can still use the underlying data which was voluminous in citing the science of disease transmission. A procedural victory isn’t much of one. Scuttlebutt in the Idaho bar is that Judge Winmill has gotten sensitive over the perception that he is in the pockets of enviro groups. Those of us who have appeared before him know that he is an excellent judge who takes the law and facts very seriously. Under Bush II, winning has been easy for enviro groups to show the agencies have not followed the law and failed to apply the best available science. So my take is that Judge Winmill tossed a bone to industry groups in a decision that has no real meaning to show he can rule for both sides.